Mt. Whitney High Country Trail Map by Tom Harrison Maps. 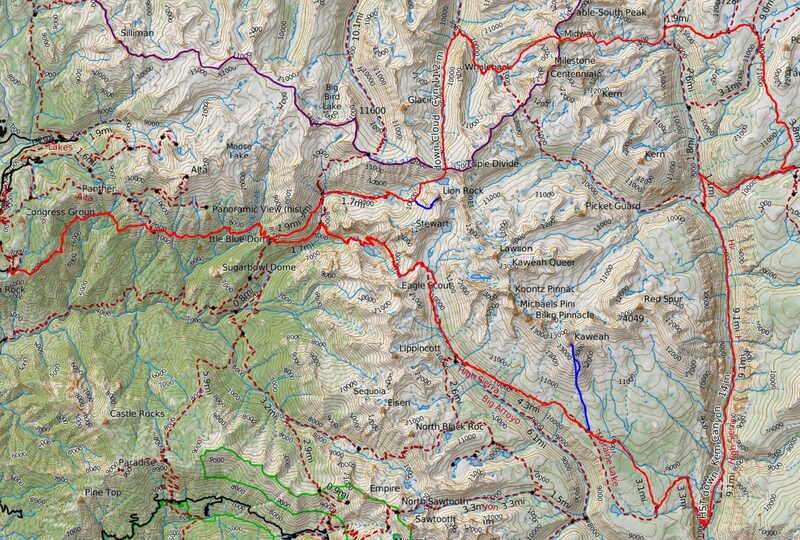 This map covers the entire route but is not as detailed as the 1:24,000 USGS maps that we print ourselves using CalTopo. 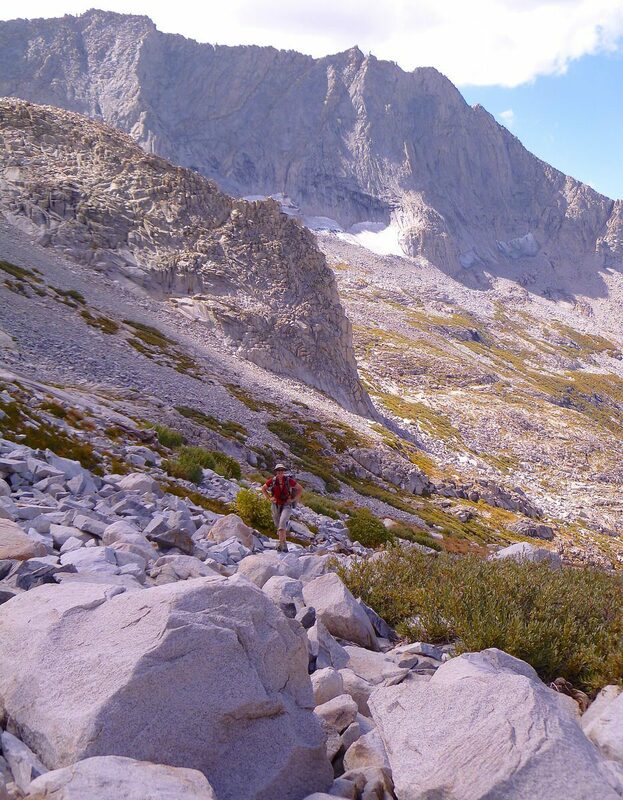 We try to take one or two trips to the High Sierra every year, usually to trails we had not yet traveled, peaks we had not yet climbed, and off-trail basins and passes we had not yet visited. On a previous trip we had seen the expanse of Cloud Canyon while passing Lion Lake. This route was designed to allow exploration of Cloud. During another earlier trip we had summited Milestone Mountain; from Midway we would have fine views of that dramatic peak. The next day, we headed up cross country toward Lion Lake Pass. Along the way, James diverted and summited Lion Rock. The huge west face of Whaleback. There is supposedly a fine easy 3rd class route called the Blowhole that leads to the summit. Milestone Mountain to the south of Midway, all part of the Great Western Divide. Descending the east ridge of Midway into Milestone Basin. Moving quickly to get out of the on-coming weather. 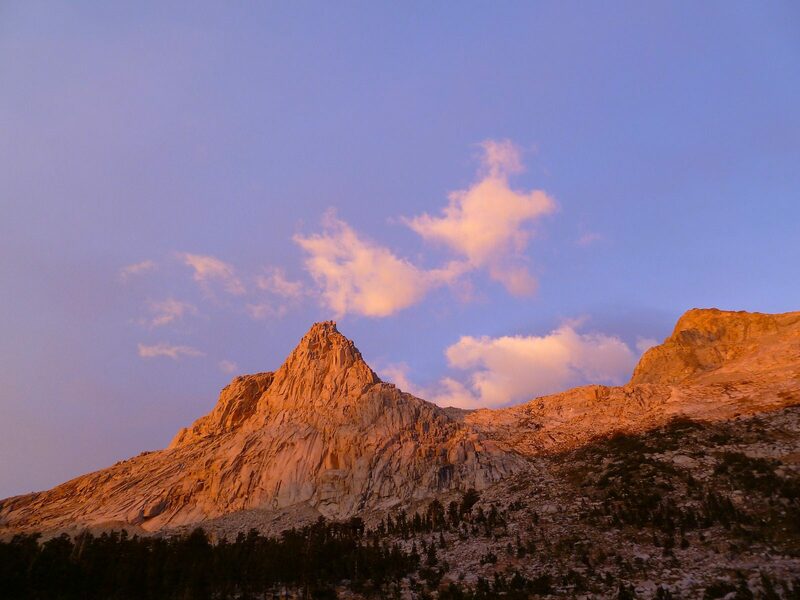 Every day in the High Sierra back-country is a five-star day, and this trip was no exception. 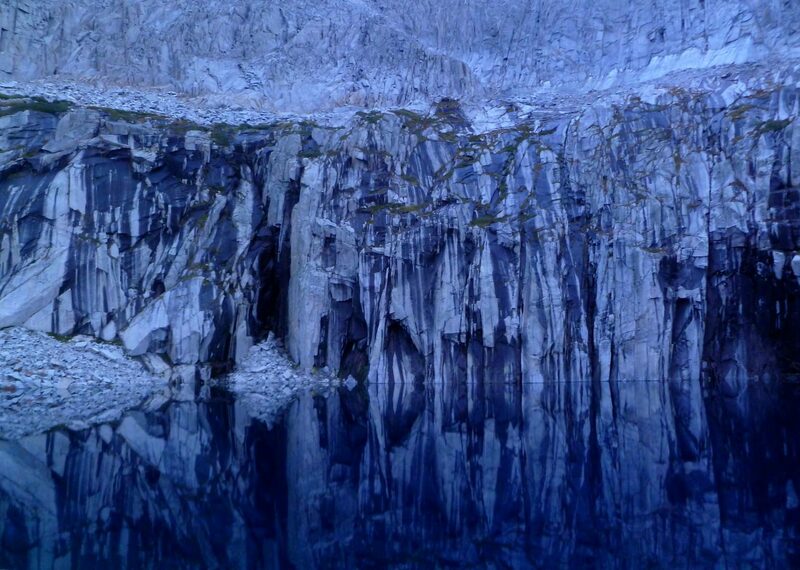 Fantastic scenery every day, white granite slabs, alpine meadows and lakes, every night in a five-star campsite. I will never tire of it. 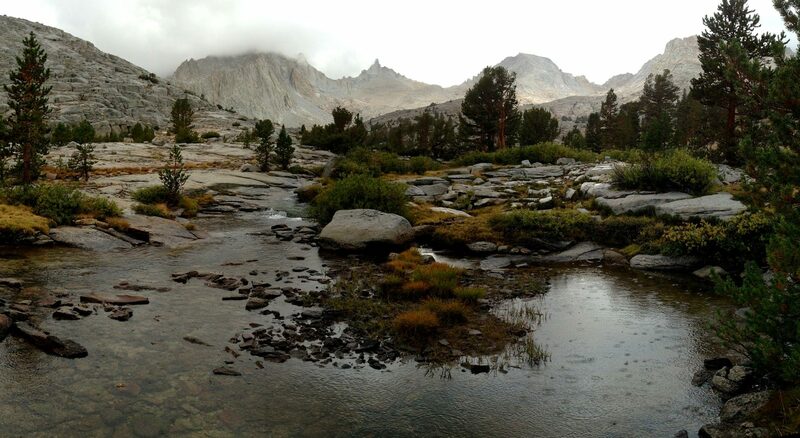 On this trip we spent very little time on the JMT, so in addition to great scenery we had solitude. 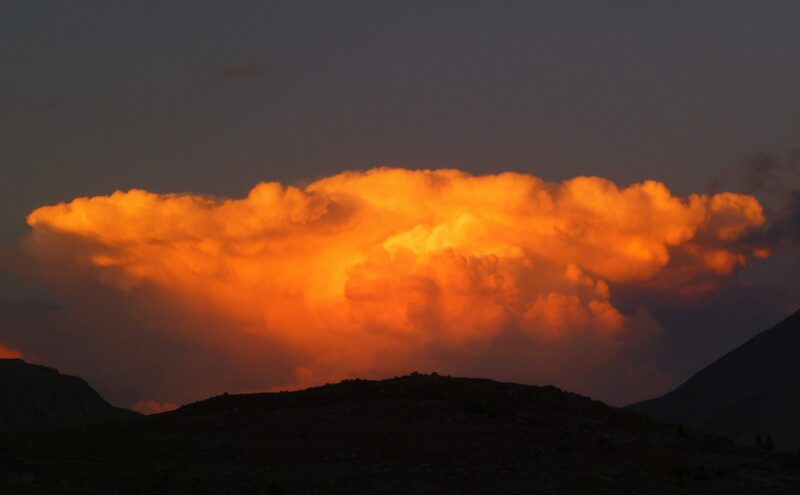 Weather in late August and early September is usually clear and settled, but we had unusually unsettled weather. I missed the incredible clear blue Sierra skies, but the swirling clouds produced some extremely dramatic scenes and superb sunsets. Another fine walk in the SEKI. 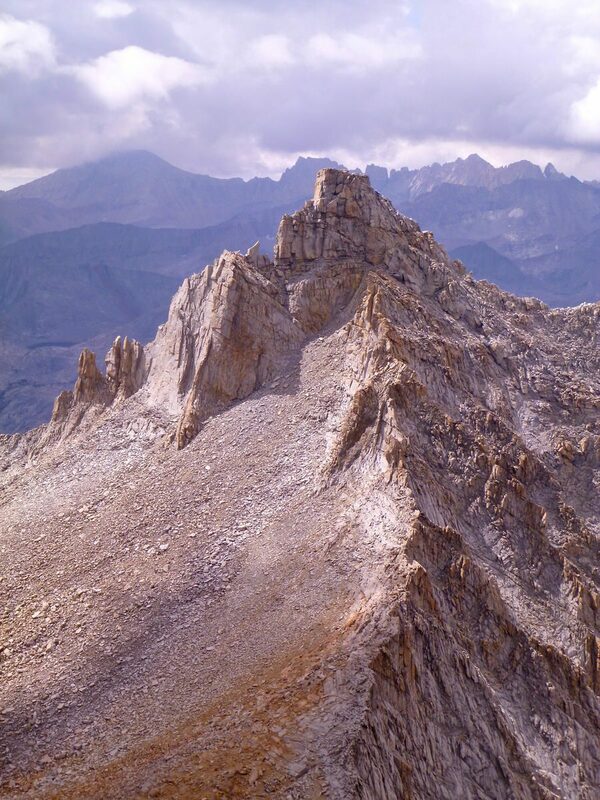 Especially recommended is the traverse of Midway Mountain. The alpine terrain on the west side approach is beautiful and the views from the summit are excellent. In particular, the view of the summit of Milestone, which we had climbed a number of years ago, is quite fine. As usual, whenever we get to walk even a tiny section of terrain we have never done before, the trip is a win. And now I need to summit Whaleback. 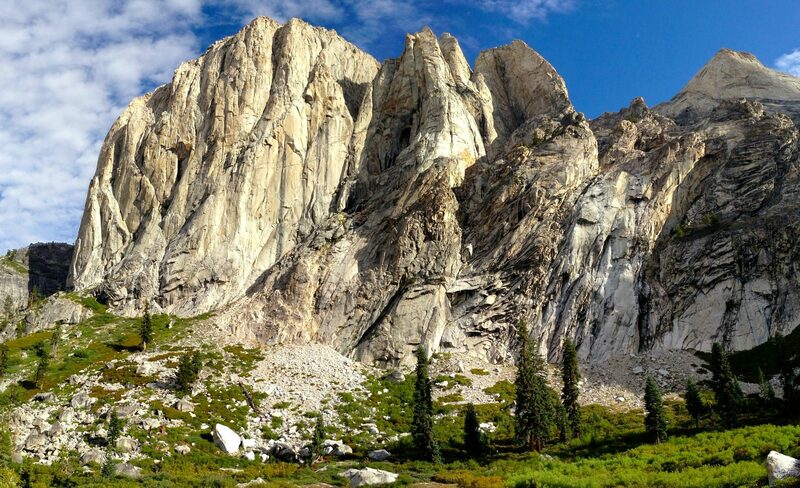 This route starts in Sequoia National Park at the High Sierra Trail (HST, not to be confused with Roper’s Sierra High Route) trailhead in Crescent Meadow. 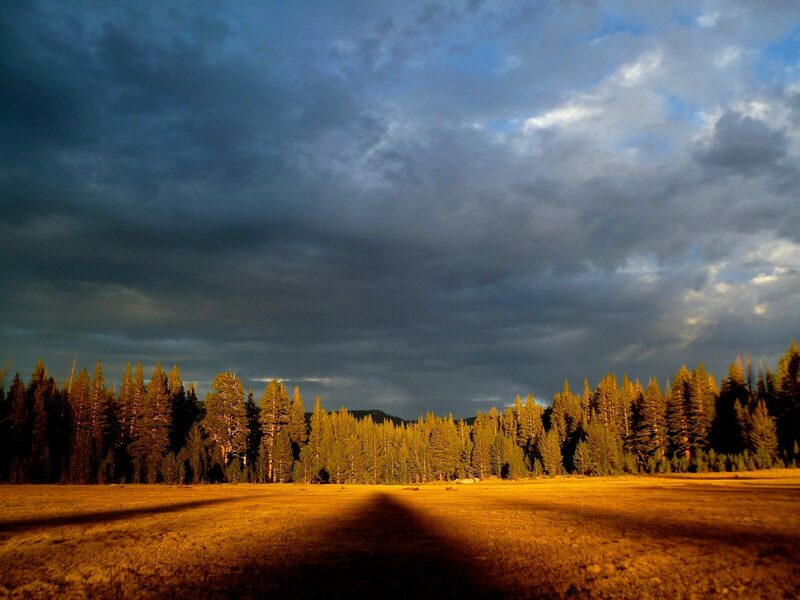 Follow the HST for 10.7 miles to the Bearpaw Ranger Station and High Sierra Camp. Leave the HST and follow unnamed trails 6.7 miles to Tamarack Lake. At Tamarack Lake leave the trail and travel cross-country 6.3 miles, over Lion Lake Pass (class 2) and down Cloud Canyon until reaching the Colby Pass Trail. Lion Rock is an optional SPS Peak along the way. The cross-country hiking is very straightforward and suitable for fit backpackers with moderate off-trail experience. 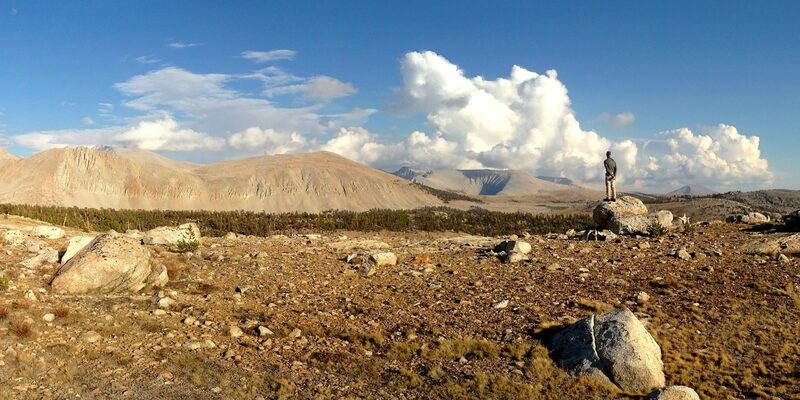 Follow the Colby Pass Trail for 2.7 miles southeast to Colby Lake. At Colby Lake leave the trail for a 5.6 miles cross-country traverse over the top of Midway Mountain and down to the Kern River. Midway is a Class 2 climb and is not difficult. The views are fabulous. On the descent along Milestone Creek, there is an old unmapped use trail down to the Kern River. After reaching the Kern River, the rest of the trip is on established trails. Follow the cross-Kern Connector Trail 3.0 miles east to the JMT. Then south on the JMT for 4.6 miles to the junction with the HST. Follow the HST 36.5 miles back to Crescent Meadow trailhead. 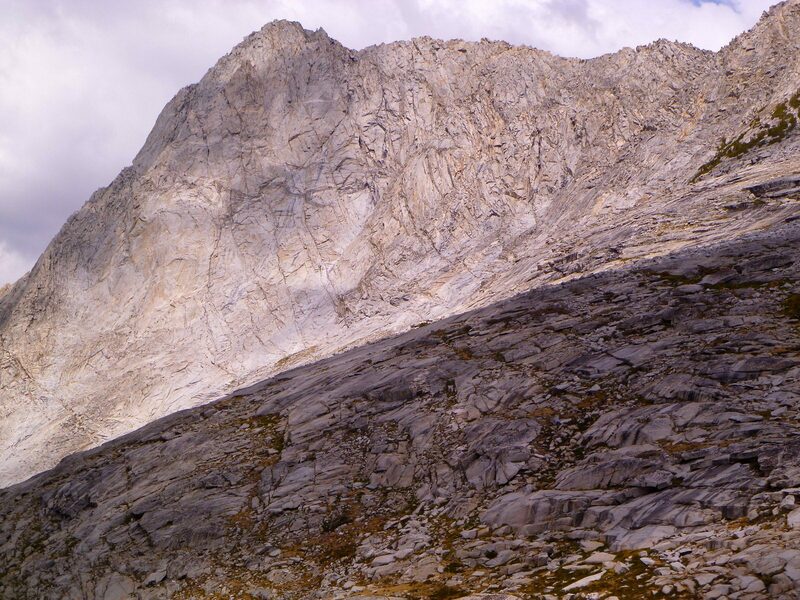 Mount Kaweah, another SPS Peak, is an optional class 1 ascent. The HST and its JMT extension from Wallace Creek to Whitney is a surprisingly fine piece of trail engineering and a very fine walk. 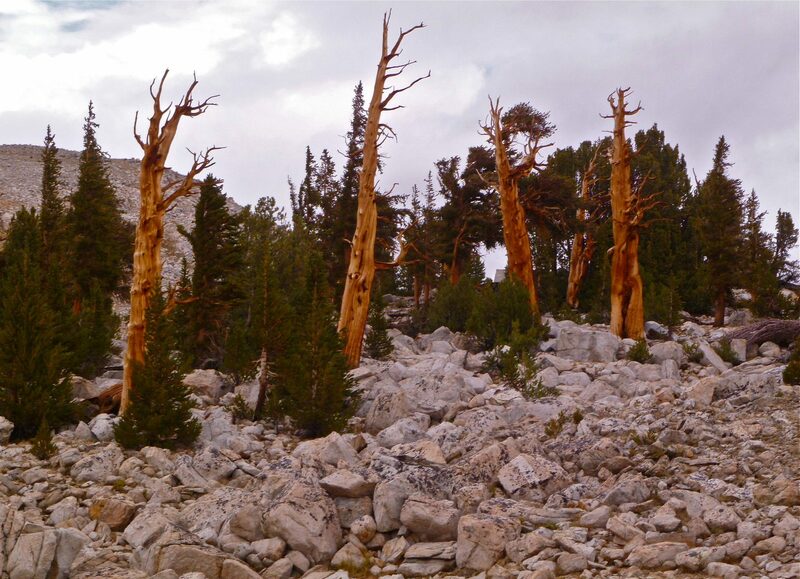 It is a good alternative to the JMT for those wishing to do a shorter thru-hike in the high Sierra. 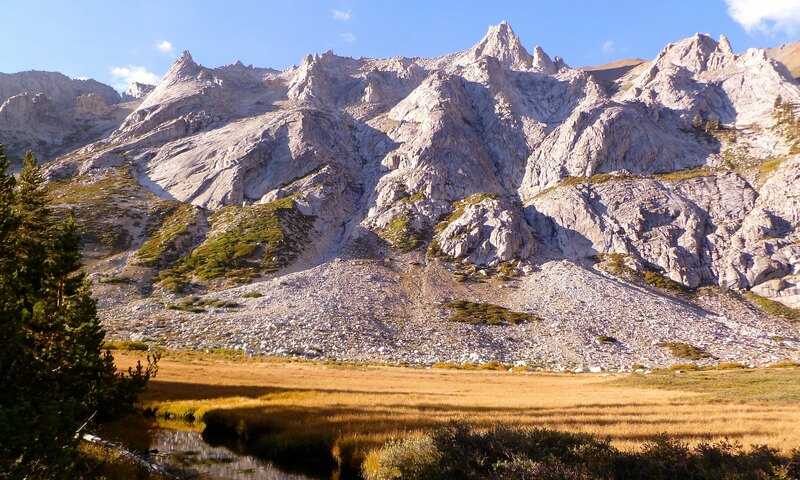 It was designed in the 1920s as a hiking route to cross from the west side of the Sierra to Mount Whitney with as little altitude change as possible. Hamilton Lake is a beautiful, but extremely popular campsite. We recommend stopping somewhere else. 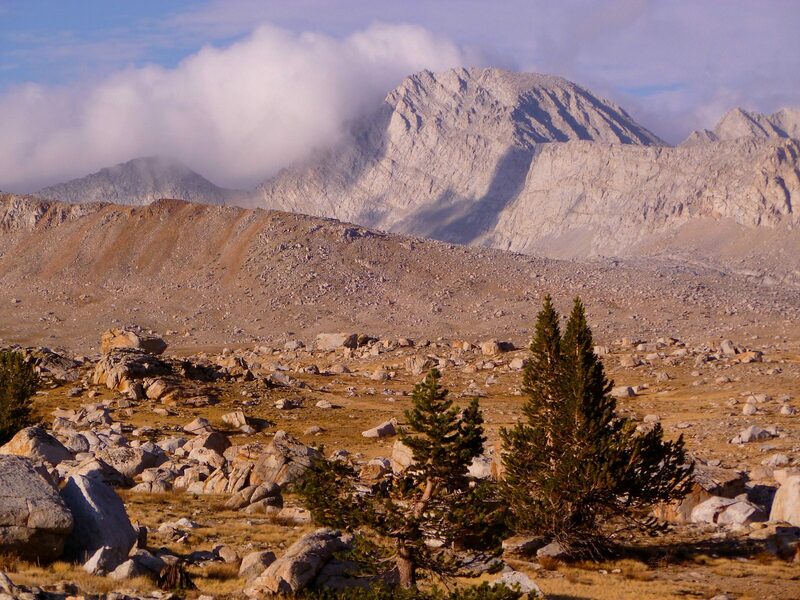 There is fine camping on the east side of Kaweah Gap. 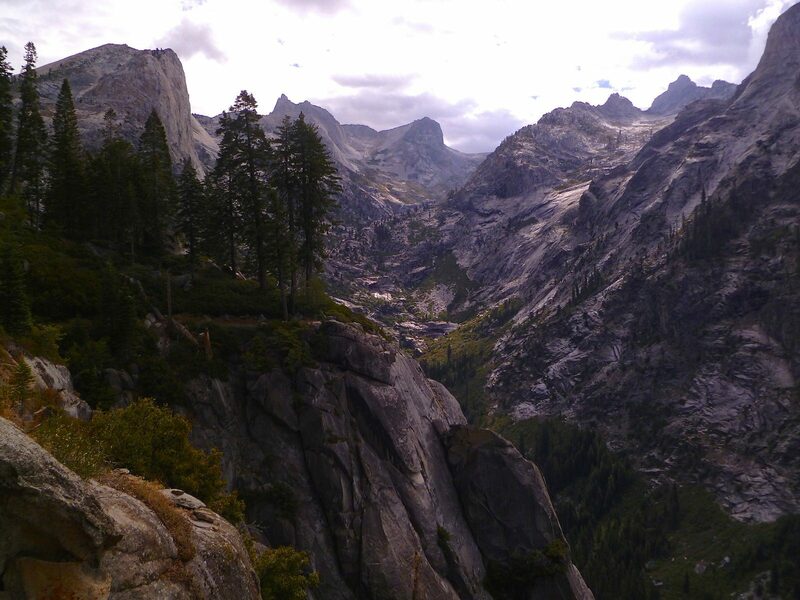 Annoying insects were completely gone in this section of the Sierra, as expected in late August, especially a summer following a low snowpack spring. Unfortunately, so were most of the flowers. Some of the willows were just starting to turn yellow. The HST travels through the 2013 Chagoopa Fire zone, which was still smoldering when we were there. It was interesting to see the fire zone; birds were actively foraging on the burned and smoking vegetation like nothing had happened. I have been enjoying your website and trip reports. Was thinking about using the Midway Traverse to get from Colby Lake to the Upper Kern River area on a solo trip this summer. I am comfortable doing off trail hiking and, like you carry an InReach for safety and communication with family. My main question is whether the trip will be suitable for me. My pack will probably be 35 lbs at that time. I am a Class 2 and below person, especially when alone. Wanted to do Cloud Canyon for the first time this year and return to Milestone Basin, which I did not get to do because of the Rough Fire. Also, while I could go Colby Pass to Junction Meadow, etc., I did most of that route in 2015 and do not wish to return so soon. 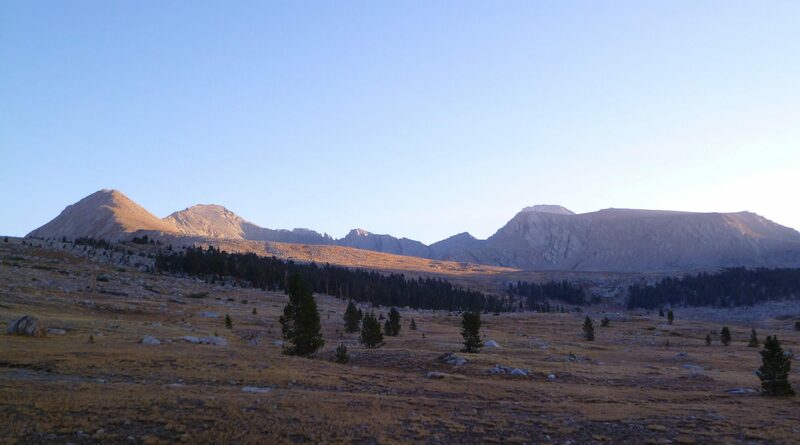 I enjoy the remote areas of the Sierras more than anywhere else (although the Amazon is close). What do you think about the advisability of that route for me? Of course we have no way of judging your skill set and off-trail abilities. However, the route from Colby Lake to the Upper Kern across Midway Mountain we found to be class 2 (based on our skill set) and quite straightforward. Secor also labels the West Slope and East Ridge of Midway, which is the route, both to be class 2. We did this late in the season, so there was no snow to contend with and we have no knowledge of whether there may be snowfields to deal with if you go earlier. If I recall, the inevitable scree and talus fields were not extensive or much of a problem on this walk. 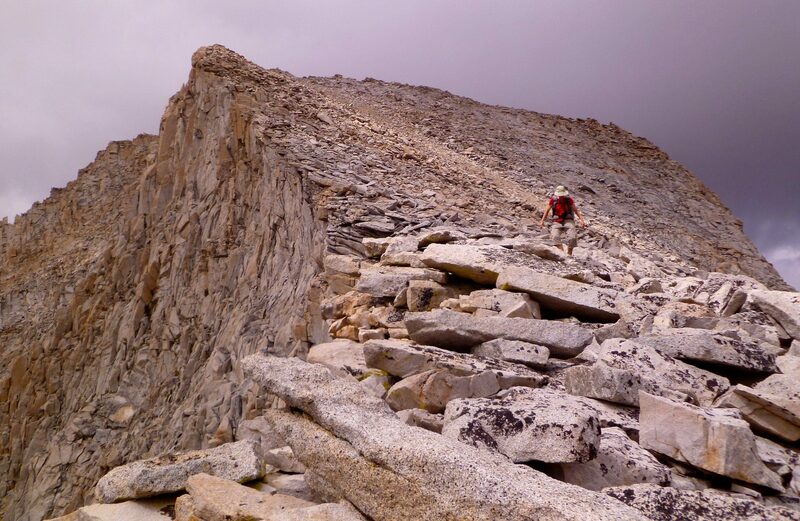 The sixth image in the photo gallery shows Amy on the East Ridge descent from Midway. 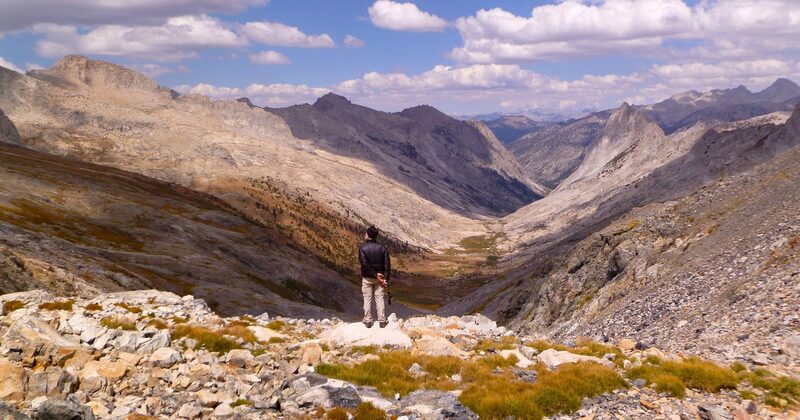 I remember the traverse to be a most satisfying walk both for the extremely fine views and sense of being in a remote and untraveled portion of the Sierra. Have a great trip.